Phillips Ormonde Fitzpatrick Lawyers (POFL) is a law firm practicing exclusively in intellectual property (IP) law. Whether your IP has been infringed, you are involved in a dispute over the ownership of IP, or you are facing allegations of infringement, we will work with you to achieve a solution that meets your individual needs. The team has experience in a broad range of industry sectors including pharmaceuticals, horticulture, mining, medical technology, chemistry, life sciences, engineering, electronics and physics, and handles disputes in all areas of IP including patents, trade marks, copyright, designs, plant breeder’s rights and anti-counterfeiting. We understand that there are many ways to resolve an IP dispute, and we will fully explore a range of strategies with you to determine the most effective approach for your situation. We can help you with all aspects of enforcement and dispute resolution, from pre-action negotiations, through to mediation and contested litigation. Our goal is to understand the particulars of your IP, as well as your overall commercial objectives, so we can offer you the most practical, cost-effective and tailored advice. All the partners of our law firm, and many of our other lawyers, are registered patent attorneys with qualifications in science or engineering. Whatever your technology, we have the expertise and experience to assist you. 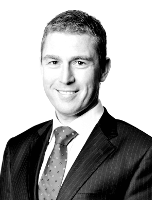 Adrian is an intellectual property (IP) lawyer who combines legal expertise with deep technological knowledge to advise Australian and international businesses in the resolution of commercial IP disputes.